It’s January. We’re all on a diet after stuffing our faces to the max over Christmas. We’ve made multiple New Year’s resolutions and have to keep reminding ourselves to refuse the office cakes, go for a run (maybe tomorrow, eh?) and, let’s be honest, most of us are filled with regret after writing a long, smug post on social media about doing dry January… shh pass the wine! The clock striking midnight on New Year’s Eve marks a fresh start for most of us and signals the time for change. And while it may be hard to stick to a gruelling diet, exercise regime or the promise to “be positive every day”, there is one big thing you can do to make 2019 the best.year.ever. The start of a new year makes us want to be the best version of ourselves. It’s a time for evaluation and reflection. We tend to look at every area in our life to find that elusive ‘missing puzzle piece’ the thing that will make us embrace each day, feel more grateful, and stop feeling as though we’re merely surviving through the chaos. 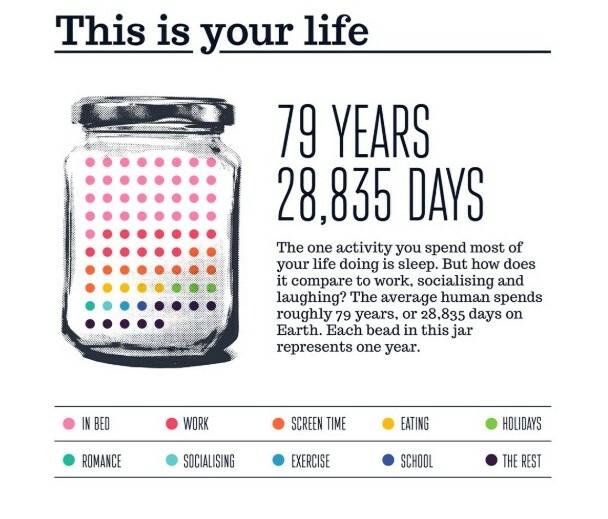 Did you know that the average person will spend 90,000 hours at work over a lifetime? It makes up a huge proportion of your adult life. 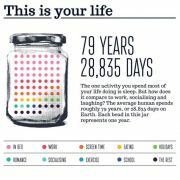 On average, you spend a mind-blowing 26 years sleeping, an additional seven years trying to get to sleep, and just over 13 years of your life at work (with an extra year on top in unpaid overtime). Yep, let that sink in. Will that promotion you were promised happen this year? Do you have a dream job that you haven’t yet explored? Being content at work plays a huge part in how positive you feel. Therefore, the most important New Year’s resolution you can make this year is to find a job somewhere that you can enjoy spending 13 years of your life in! Although it’s true that most people don’t love their job. Many like it, find enjoyment in it and have the right balance of feeling challenged and motivated. So, if your boss doesn’t appreciate you, you’re underpaid, and you dread the thought of getting up every morning, maybe it’s time to make a change. If you’re considering a new career, here are three things to get you started. Update your CV to highlight your latest achievements and ensure your career history doesn’t have any gaps. Take the time to proof-read it with a fresh pair of eyes and make sure it really sells yourself to potential future employers. While updating your CV, you may as well write yourself a new cover letter that you can use as a template when you next apply for a job. It can then be tailored to each position you apply for in the future. Another place to update is your LinkedIn profile. Employers and recruiters search online profiles looking for potential candidates. If your profile is up-to-date you’ll attract more interest and be more likely to be approached. Even if you’re not 100% sure you want to make the leap into a new role, there’s no harm in getting yourself on the books with a recruitment agency. You’ll be first in line for anything that meets your career goals and you will gain valuable insights to help you decide whether or not to take that next big step. We can help you find a new job to make 2019 a truly great year. Take a look at our list of job vacancies or give the friendly team at Ambitions a call on 614841. 12 career boosting tips for the 12 days of Christmas Feeling fed up? Blame it on Blue Monday!